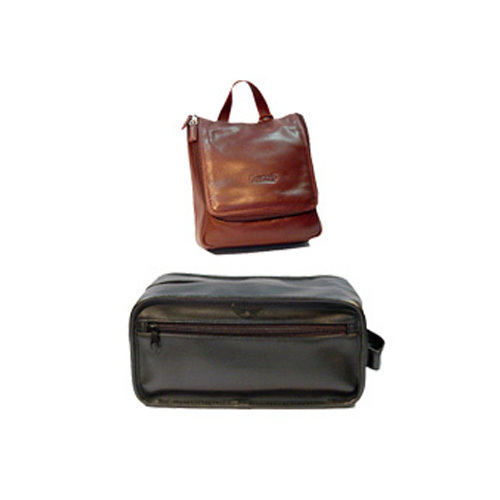 We are operating in the industry of leather goods from 1988. Our vast experience is the standing testimony of our proficiency in the domain of designing and marketing a wide range of leather accessories, leather travel accessories, ladies leather accessories, men's leather accessories that includes Men's Wallet, Ladies wallets and hand bags, Travel accessories, Personalized Cosmetic case, Corporate items, Toiletries, coin purses and Mobile holders. Our entire range is manufactured using perfectly tanned leather that is extracted from cow, buffalo, calf, goat and sheep. In pursuit of excellence in quality, we offer our leather accessories in a variety of specifications ranging from Drum Dyed, Vegetable Tanned, Aniline and Soft Nappa, to Natural Dry Milled, Oil Tanned and Prints. All these factors have helped us cater to a wide clientele in India and countries like Italy, USA, Canada, Greece, France, and South Africa. We are exporter and we deal in export inquiries only.